Top Five Premium 5-10 Cup Rice Cookers and mid-range cooker reviews. Visually, this rice cooker is quite nifty and certainly unusual. It is a fairly small model, just offering 3 cups of cooked rice. However, that’s still enough for many families and meals. The model also has a removable Teflon-coated pot and this helps to make the process of cleaning exceptionally simple. In fact, there is even a steam cleaning system within the device itself. The rice cooker also has a number of different settings, which allow you to alter the texture of the rice. For example, the glutinous setting can be used to cook sushi rice, a task that is difficult in other rice cookers. This rice cooker is another one that offers a number of different functions. These functions include the ability to cook different types of rice, like white, brown or mixed rice, along with sushi rice. Likewise, there is a quick cook feature and even the ability to cook porridge (for some reason). As well as those features, the model has the ability to keep rice warm for an extended period of time and can also reheat rice. All of these features make this model a good choice for many kitchens, especially as the rice cooker does also look good visually. This is also one of the most popular rice cookers on the market and Zojirushi is a good brand to choose. The one disadvantage with this model is that it is more expensive than all of the other entries on this list. As such, it may not be a suitable option for everybody. This model is another option if you want a rice cooker that looks a little bit interesting. The company calls this its ‘Eve’ style, after the female robot from Wall-E. The model offers a range of features, including specific functions for the various types of rice and the ability to quick cook and to slow cook (meaning that this could potentially replace a slow cooker). The brand itself is also a well-known Korean electronics brand and one that appears to be popular for its rice cookers. It’s also worth noting that even though this is a Korean brand, the display panel is in English, while the buttons for the model are in both English and Korean. One of the most significant things about this rice cooker is the term ‘micom’ in the title. That stands for microcomputer, meaning that the rice cooker uses a microchip to control the cooking functions. This allows the machine to make adjustments as the rice cooks, helping to ensure that the end result is perfectly cooked rice each time. At the same time, users don’t need to provide much input at all and it just takes the push of one button to start the cooking process. Like most other models, this rice cooker has a non-stick inner pot that can be removed, which is always useful when it comes to cleaning. That pot also has clear markings for the levels of rice and this makes it easier to ensure that you always put the correct amount of rice in. 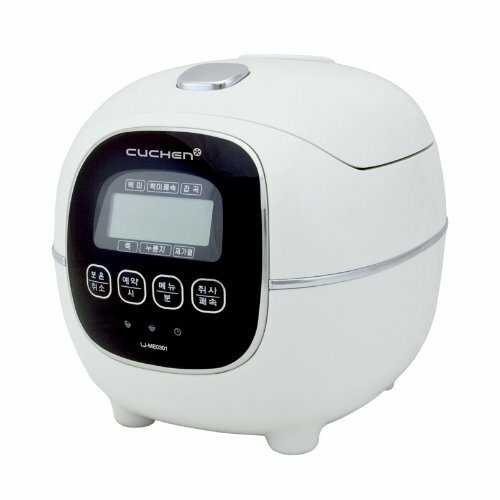 Even though this model is the same size and brand as one that we mentioned earlier in the list, it is worth considering as an alternative rice cooker. In this case, the model is a little bit more appealing visually and also lower in price. It is also a compact model, taking much relatively little bench space for the amount of rice that it cooks. Nevertheless, despite having a fairly small footprint, the rice cooker still offers a wide range of different functions. For example, the model can be used for cooking multiple different types of rice and users also have the ability to modify the cooking time based on their needs. 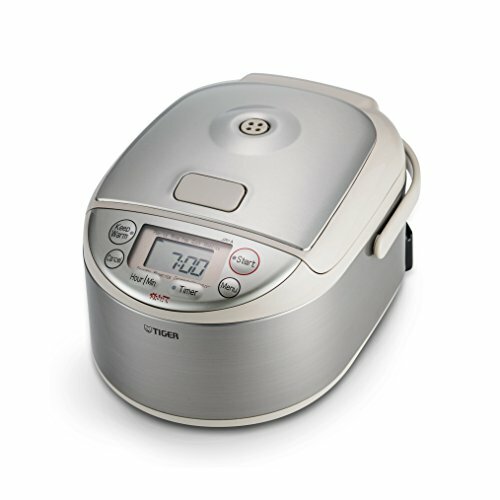 Likewise, the rice cooker also uses a fuzzy logic microcomputer, which is one of the best approaches for getting consistently perfect rice. All of the options on this list are viable choices for a rice cooker and in many ways the different models are fairly similar to one another. 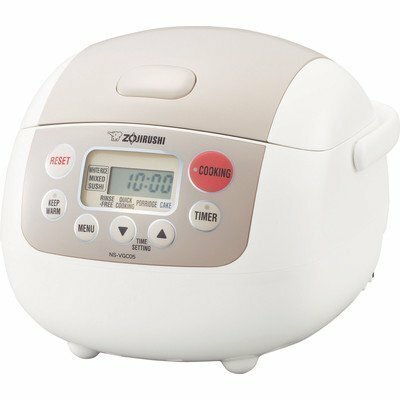 However, we do recommend the Zojirushi NS-LAC05XT Rice Cooker as the best choice if you want a high-quality and reliable rice cooker. 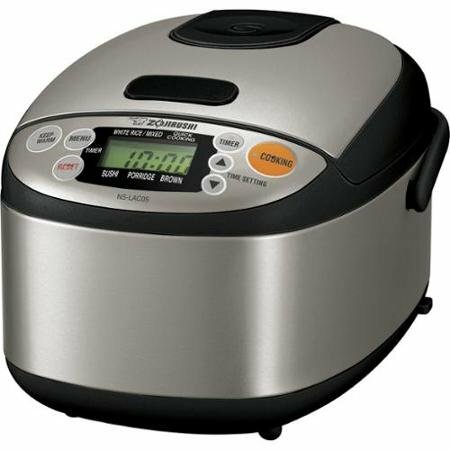 Even though this model is significantly more expensive than all of the other items in the list, it is also the most popular rice cooker and also has a large number of positive reviews. At the same time, the brand itself has a very good reputation for rice cookers and this alone is a good reason to consider the product. 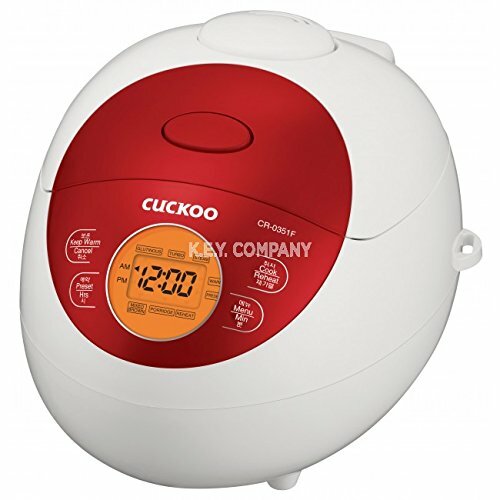 However, if you are looking for a less expensive rice cooker model, then the Cuckoo Red Electric Rice Cooker may be a good alternative. This one still offers a number of different functions, including a steam cleaning system and a turbo cooking option. The model is also visually appealing and would look better than most other rice cookers in the kitchen.